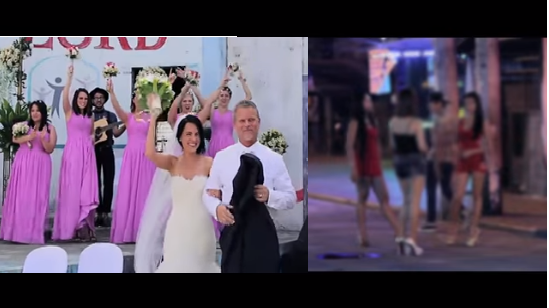 American couple invites strangers and bar girls during their wedding in the Philippines and it was beautiful! Every woman has a dream wedding that would typically suggest a beautiful location, selected guests, best clothing to be wear and celebrate it with the most important people in our lives. Wedding day is a very special day for every couple which they planned ahead to have a perfect outcome. However, the story of Mellisa and Randy Howard broke this typical ideal wedding concept but it comes up to be the most perfect and beautiful wedding we've ever seen. The couple was inviting strangers and bar girls into their reception and celebrated it in the most memorable way. "Mellissa, if you could do anything for your wedding, what would you do? Who would you want to be there at your wedding?" he ashed. "Well, if I could do anything from my wedding, I would have my Filipino girls there. The girls that I've helped rescue," she answered. According to her she heard God saying to get married in the Philippines and invite girls working in the bars - girls that haven't yet been rescued. And to let these girls meet those girls who have been rescued and begin their journey of healing. So they went to the bars and started giving an invitation. One more thing to be prepared of, the venue where they will going to hold their wedding. One day, Randy saw a picture of the abandoned church in Melissa's photo gallery, a church were Mellisa stayed when she was in the Philippines. On their wedding day, the bride and groom welcome the girls they invited - even the girls are strangers to them. "We've gonna do our best to present to them what Jesus would be for them," he said. 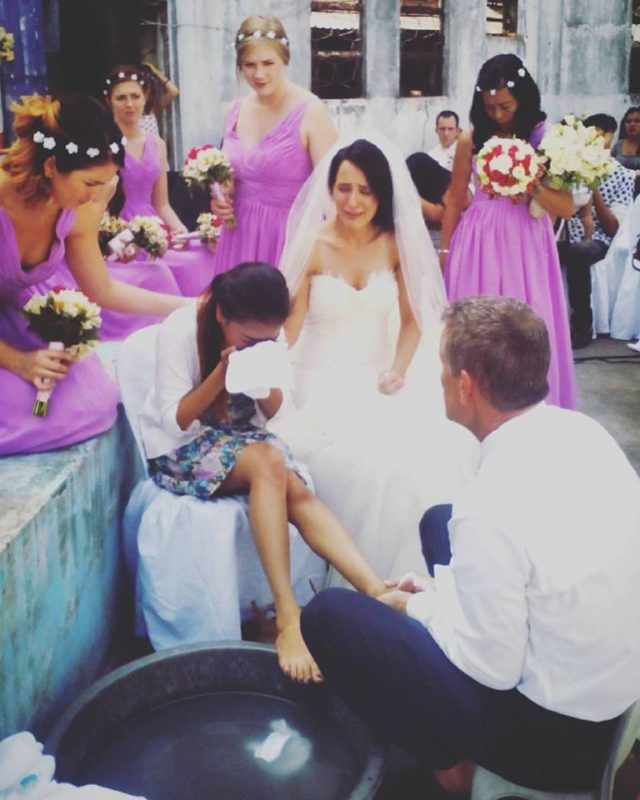 The ceremony went emotional when the couple washed the feet of the girls that they've known only that very moment.